Currently, SHAKEN is #8 on the Top 100 Kindle Bestseller List. Ranked lower than me are four authors and a game, EA Solitaire. If we disregard the game, I'm the seventh bestselling ebook on Amazon. So who is outselling me? Stieg Larsson is a phenomenon that really hasn't been seen since the DaVinci Code. He's an anomaly, a supernova, and his three titles have been bestsellers for years with no clear end in sight. The other folks currently beating me are Lee Child, John Grisham, and Vince Flynn--all #1 NYT bestsellers. They sell well in all formats, even at the $9.99 to $12.99 they're priced at in ebook. But here's the kicker--at $9.99, Child and Grisham are earning $1.75 a pop, and if the current trend applies, they're selling more ebooks than hardcovers. So they're making less money than they did on previous books. Their publishers, in the meantime, are earning $5.25 per ebook sold--a much better profit than they make on hardcovers, especially when you consider the smaller amount of work and overhead it takes to publish an ebook. Flynn, at $12.99, is making $2.25--also less than he would on a hardcover. But he's also selling fewer copies, because Kindlers HATE anything over ten bucks. Now, these guys got huge advances. Advances they will likely never earn out. In this volatile publishing climate, I encourage authors to take the money and run if given a huge advance, knowing full well they'll probably never get their rights back. But what if you don't get a million dollar advance? Should you not sell your books to publishers? Let's look at the 30 year plan, using simple numbers. Assuming a perennial ebook will sell 1000 copies a month self-published at $2.99 (a low estimate, but a reasonable one) we'd be talking about $24k per year, or $720,000 over the thirty year period for the self-pubbed author. Now, let's say you get an advance from a big publisher. Not a million dollar one, but a nice one, say $300,000. Will you get your rights back at the end of 30 years? No, because it isn't likely you'll ever earn that advance out, so your publisher will fight to keep the rights. Why won't you earn out? First, because the royalty is too low. Second, because when the book is first released and "hot" it is priced too high. Selling 12,000 copies, that's $6300 per year to the author. Ouch. So you haven't even earned out your $300k advance in 30 years, even though you've sold 388,000 eooks. Compare that to the $720k you could have made on your own, selling fewer copies. Now, these numbers are hardly accurate. No one knows how well ebooks will be selling 30 years from now, and I'm just assigning numbers whimsically to prove a point. I also haven't factored in print sales, even though I just read a report that Kindle versions of the Top 1000 ebooks are outselling ALL print versions combined, 2 to 1. But even if my numbers and predictions are fanciful, the trends I'm talking do seem to make sense. 1. Publishers are charging too much for ebooks. 2. Publishers are paying too little in royalties to authors. 3. The price of ebooks will come down. 5. Ebook sales are increasing, while print sales are declining. If you get a huge advance, run to the bank. It doesn't matter if your books ever revert back to you, or if you ever earn out your advance. You just won the lottery, go celebrate. But if you're being offered less than $500k per book, like 99.9% of us mere mortals, really think about the long term ramifications of your actions. Especially since your agent and the taxman will take a big hunk of your advance money, when you could have kept a much greater percentage of it if it had been paid out over three decades. Also keep in mind that if you do earn out an advance, like I've done with my print books, you will be forever losing money because of the high price/poor royalties set by your publisher. I don't think Shaken will climb higher than #8. Too much competition. This doesn't bother me. I've already made peace with the fact that Amazon will sell Shaken forever, and I'll never get the rights back. But that's okay, because with Amazon's help, I was able to hit the Top 10--something I haven't managed on my own yet. And though I'm making better royalties, and will probably earn more in royalties than Child, Flynn, and Grisham over the next few decades, I really didn't sign with Amazon for the money. I did it because my backlist sales, spurred by Shaken, have all shot up. Shaken is not self-published, but its success is allowing me to earn more money from my self-published ebooks, by introducing my work to a whole new audience thanks to Amazon's marketing power. Whiskey Sour is now ranked #115. That's as high as it has ever been. My publisher priced it at $4.69. Of that, I make 82 cents per copy sold. If I had my rights back, I'd price it at $2.99, earn $2.04 per copy sold, and guaranteed it would be in the top 100 by now. So how much money am I not earning because I signed with a traditional publisher? It hurts me to think about. As for ranking, it doesn't matter that Child, Larsson, Flynn, and Grisham are outselling me. My ego can handle it. After debuting my self-pubbed ebooks on Kindle in April of 2009, I've sold over 100,000 of them. One of the reasons I've sold so many is because I currently have 29 Ebooks on Amazon. Just like a brick and mortar bookstore, the more shelf space you take up, the more likely you are to be discovered by browsers. You can't be read if you aren't seen, so try to be seen in as many places and as often as possible. When you're an author, you're a brand. A certain percentage of readers who like one of your books will seek out other books written by you. My goal, from the beginning, was to make the Konrath brand instantly identifiable. I did this in three ways. First, I wrote a series. Mystery readers are loyal to characters, and I knew if I hooked a reader with one book, she would be likely to read everything featuring the same character. In this case, it was a female cop named Jack Daniels. Second, I made the books stand out from the crowd by making them both suspenseful and funny. There are scares, and there are laughs, often on the same page. I knew this would turn some folks off (the early reviews for my first JD thriller said I had no idea if I wanted to be Thomas Harris or Carl Hiaasen) but that some would get it. Third, I made these books easy to find, by naming them all after drinks. That way, a reader could go into a bookstore and not remember my name, or the title, but could still find my novels by asking the bookseller "Who does those books with drink titles?" 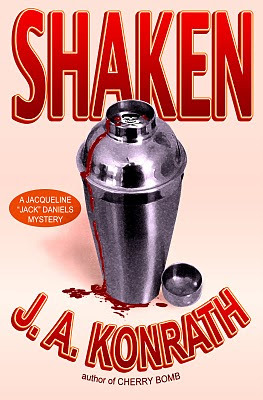 The seventh Jack Daniels book, SHAKEN, was just released yesterday. It's currently the #14 Kindle Paid Bestseller. Now, as expected, a lot of the folks buying SHAKEN are fans of my previous books. But there are also some newcomers who are meeting Jack Daniels for the first time with SHAKEN. And what are those folks doing? You guessed it. They're going back and buying the other six books in the Jack Daniels series. WHISKEY SOUR, the first JD book, is currently #173 on the Kindle Bestseller List. That's the highest it has ever been. BLOODY MARY is at 681. RUSTY NAIL is at 1214. DIRTY MARTINI is at 735. FUZZY NAVEL is at 739. CHERRY BOMB is at 728. Why is RUSTY NAIL the only ebook not in the Top 1000? Because my publisher is charging $5.70 for it, and is charging $4.80 or less for the others. But then, I've told them many times they should all be $2.99 or less, and my pleas fall on deaf ears. These books are all part of the same series, and the same universe. But rather than stop there, I realized I could expand this universe even more. JACK DANIELS STORIES gathers fifteen shorts featuring Jack and her supporting cast. One of the characters from DISTURB also has a cameo in CHERRY BOMB. SHOT OF TEQUILA features Jack as one of the supporting characters, and it is referenced in SHAKEN. More on Jack Daniels in a moment, because I want to switch gears and talk about another brand I'm building. I write horror under the name JACK KILBORN. Kilborn came about when I sold my horror novel AFRAID. Because this was a different genre, and style, from the Jack Daniels series, we went with a different name. This allowed me a fresh start with new fans (and the potentially bigger pre-order numbers from booksellers), while also allowing me to write stuff that some of my JD fans might not like. So Kilborn became my horror alter ego. He wrote the novels TRAPPED and ENDURANCE, which have become two of my biggest bestsellers. Even though Kilborn fans might not be Konrath fans, and vice versa, I knew that some would. So I never hid that I was Kilborn, and have always encouraged the Jack Daniels readers who liked the scary parts to check my pen name out. Since Kilborn has been outselling Konrath lately, I also wanted Kilborn's fans to know that the Jack Daniels series had some real horror chops to them as well. Have them write a story together, obviously. Here's where things get interesting. TRUCK STOP also featured a serial killer named Donaldson, who was in a novella called SERIAL that Jack Kilborn wrote with Blake Crouch. Blake and I expanded SERIAL into SERIAL UNCUT, which encompassed SERIAL, TRUCK STOP, and his novella BAD GIRL. SERIAL UNCUT also featured Mr. K, the serial killer from SHAKEN. Confused yet? It gets more convoluted. SERIAL UNCUT also features the serial killer Luther Kite, who appeared in Blake's thrillers DESERT PLACES and LOCKED DOORS. SERIAL UNCUT ended with Luther thinking about seeking out Jack Daniels. Which he did, in SHAKEN. Blake and I are now writing STIRRED, which will be the conclusion to the Jack Daniels series and his Luther Kite trilogy. So what have I done here? I've not only tied the J.A. Konrath and Jack Kilborn universes together, I've also brought Blake Crouch's universe into the mix. So Blake's fans (he's also written many short stories, plus the excellent thrillers SNOWBOUND and ABANDON) can discover me through him. So let's get back to Jack Daniels. Seeing the advantage of cross-pollination with other authors, Konrath wrote a Jack Daniels novella with Henry Perez called FLOATERS, featuring Jack and Henry's main mystery character, Alex Chapa, from his novels KILLING RED and MOURN THE LIVING. Konrath also penned a Harry McGlade novella called SUCKERS with Jeff Strand, teaming Harry up with Jeff's character Andrew Mayhem: GRAVEROBBERS WANTED (NO EXPERIENCE NECESSARY), CASKET FOR SALE (ONLY USED ONCE), and SINGLE WHITE PSYCHOPATH SEEKS SAME. So now Blake's fans, Henry's fans, Jeff's fans, and Tom's fans, can all be fans of Konrath and Kilborn as well. My universe has gotten a lot bigger. Recently, Kilborn, Blake Crouch, Jeff Strand, and F. Paul Wilson wrote the horror novel DRACULAS (with an introduction by J.A. Konrath.) Paul is a NYT Bestseller and the other of more than 40 thrillers. More cross-pollination. Leaving no stone unturned, I wrote a Choose Your Own Adventure-type novel featuring Harry McGlade called BANANA HAMMOCK. During the course of the narrative, the reader can have Harry appear in some of my other books, in scenes where he shouldn't. 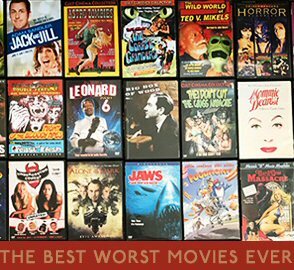 So Harry gets to wreck ORIGIN, ENDURANCE, DRACULAS, SUCKERS, WHISKEY SOUR, and many other books in my oeuvre. It not only makes fun of my writing, it also introduces readers to some of my other novels, albeit in a skewed way. Finally, I'll be unveiling my new persona, Joe Kimball, next year. Kimball writes sci-fi thrillers with some humor. New genre, new audience. But, of course, I want my old audience to be aware of it as well, and I want to make sure it's tied in with my other books. The main character of TIMECASTER is Jack Daniels's grandson. Harry McGlade III is a supporting character. An elderly Phineas Troutt makes an appearance in TIMECASTER SUPERSYMMETRY. The point is, I've currently got ten ebooks in the Kindle Top 1000, and the rest aren't ranked much higher than that. Writing good books, with good covers, good product descriptions, and low prices, will help you sell. Writing a bunch of them will help you sell even more. But you should also consider biggering your brand by having cross-overs with your characters, and cross-pollinating with other writers. BTW, I'm dedicating TIMECASTER SUPERSYMMETRY to J.A. Konrath. He works hard, and I think he deserves it. Exactly seven days ago, I cracked the Top 100 with DRACULAS, a horror novel I wrote with Blake Crouch, Jeff Strand, and F. Paul Wilson. That ebook was a self-published Kindle exclusive, and it continues to sell over 100 copies a day. Today, SHAKEN has been released. This is the seventh book in my Jack Daniels series, and it wasn't self-published. Instead, it was picked up by AmazonEncore--a publishing wing of Amazon.com. AmazonEncore is publishing a print version of SHAKEN in February, and though that appeals to the nostalgic part of me that still has an emotional attachment to dead trees, and though AmazonEncore has been a completely positive experience for me (which includes working with some of the smartest and most enthusiastic folks I've ever met), these aren't the real reasons I signed with them. The real reason I'm working with Amazon, ego and pleasantries aside, is because of their marketing muscle. I've proven with Draculas, and with ENDURANCE, that I can hit the Top 100 on my own. But I don't have the reach that Amazon has. This is a chance for me to release a book with a big push behind it--something I've never had in my career. It will be fun to watch how Shaken does over the next few days, weeks, and months. Naturally, I'll keep my blog readers posted with numbers. In the meantime, I'm happy that Jack Daniels has a new publisher, and that the series is still kicking after seven years. I get a lot of email from fans who have been anxiously waiting for this one, and that makes me happy. Reviews like this one also make me happy. J.A. Konrath achieves the stupendous feat of blending both a prequel and a sequel in this timeline-hopping thriller, expertly making the pieces click together like an intricate Swiss watch. Over the course of her decades-long career, Detective Jacqueline "Jack" Daniels has pursued her own great white whale: a sickeningly twisted serial killer named Mr. K. Years ago, Jack came heartbreakingly close to catching him, but he managed to slip away. Now Mr. K is back from her nightmares, and she's his captive, in a secret place where she's beyond rescue. Bound and gagged, the clock ticking down till zero, Jack faces a death more excruciating than anyone's worst imaginings. She has seen Mr. K.'s other victims, so she knows how terrible her end will be. In flashback, we see just how Jack ended up at this moment in her life. From her first exposure as a rookie to Mr. K's handiwork, through her career-long pursuit of her nemesis, we watch Jack grow as a cop, as a woman, and as a friend to her two eccentric colleagues, Harry and Herb. That journey is both terrifying and wildly hilarious, a wacky combination that only a writer as good as Konrath can pull off. Throw in a deeply moving denouement, and you have a story that hits every single mark. The pace is frantic, the horrors truly horrifying, and the dialogue will have you laughing out loud even as you're gripping the pages in terror. Konrath is so good, he makes other novelists jealous--and count me as one of them. Buy Shaken for $2.99 for Amazon Kindle. Because it is DRM free, you can also read it on other ereaders (Nook, Kobo, Sony, etc.) Instructions are HERE. I wrote a horror novel with Blake Crouch, Jeff Strand, and F. Paul Wilson called Draculas. You can buy it for $2.99 on Kindle here. For the reasons why we decided to release this as a Kindle ebook, you're welcome to read my Huffington Post blog. If you'd like to know what Draculas is about, visit the website at www.draculasthebook.com. This blog entry isn't about why we wrote it, how we wrote it, or what kind of story it is. So what am I blogging about? Draculas went live on Amazon yesterday. Since then we've gotten 120 reviews, and are currently number 76 on the Paid Kindle Bestseller list. When we'd only written 10k words of the book, back in August, we began to plan our marketing strategy. Based on the Afraid Blog Tour I did in '09, I learned about the power of bloggers and reviewers, and how they could raise an Amazon ranking. So we knew we wanted to get on as many blogs, and get as many reviews, as possible. If you haven't been on my blog for the last few days, I've got a new ebook experiment going on. Earlier this year, I asked three fellow writers if they wanted to collaborate on a horror novel. I've worked with each of them before (F. Paul Wilson, Jeff Strand, and Blake Crouch) and they're all consummate professionals. The result of our efforts, DRACULAS - A Novel of Terror, will be released on Kindle, October 19 (but available to any ereader through Calibre). Now we're attempting to generate some buzz prior to the launch, by treating this like a traditional release rather than an indie release. That means we're looking for a few good reviewers. Do you want a free advance reading copy of DRACULAS? 2. You will post that same review to Amazon’s DRACULAS page when the book is officially launched on October 19. 3. Make sure to include your name and the web-address of your website or blog (if any), which may be linked to from my blog when the book goes live in the Kindle store. Your email address will of course be kept confidential, and anyone who writes a review, good or bad, will be thanked in the acknowledgments of a future edition of DRACULAS. We anticipate having a final manuscript of the book ready to email on or before October 1. No problem. We're going to have a dedicated DRACULAS website page. Write a review, email it to draculasthebook@gmail.com , and we'll post it there. Then you can link to your review via Twitter, Goodreads, and Facebook, if you use them. Please make sure to email draculasthebook@gmail.com, under the subject heading “GOODREADS REQUEST.” Do NOT email me directly - we want to make sure your email is read, not lost in my huge stack of unanswered emails. Thanks in advance for helping us to spread the word! Many of these folks also got a copy of the PRESS RELEASE FOR DRACULAS. The first link contains the pdf of Draculas. It requires Adobe Reader to read, which most computers have. You can download Reader for free at http://get.adobe.com/reader. Once you click on this link, you must then save the file to your computer using FILE, SAVE PAGE AS, in the upper right hand corner of the document. It can then be read on your screen, or printed. If you don't have a Kindle, remember that you can download the free Kindle application for a variety of devices. If you have any questions or issues with any of the file attachments, please don’t hesitate to get in touch via draculasthebook@gmail.com. For those of you who have expressed concern that Draculas is only available as a Kindle ebook, remember that it is DRM free. That means, once bought from Amazon, it can be easily transferred to any other ereading device (Nook, Kobo, Sony, etc.) Visit www.DraculastheBook.com for instructions. Draculas will also soon be available in print. If you could publish your review of DRACULAS on October 18th, (and link to and post the same review to the Amazon review page) that would be ideal. YOU DON’T HAVE TO BUY THE BOOK TO POST A REVIEW ON AMAZON, you just need an Amazon account. Of course, we’re eternally grateful for whenever you’re able to publish your review. When your review is up, please send an email to draculasthebook@gmail.com, under the heading “REVIEW LINK” and drop us the link to your blog(s)/website review of the book. We’re going to feature a link to all reviews on Konrath’s blog on 10/19, as well as the dedicated DRACULAS website. We seriously couldn’t do this without you, and your willingness to help us spread the word about DRACULAS means the world to us. As a show of appreciation, we sent these reviewers an ebook copy of Shaken. If any of them review Shaken, they'll get another free ebook in return. We also thanked them in the Draculas acknowledgments. The reviews were our main goal. But we wanted to treat this like an official book release, so we did some other standard things prior to the book launch. Blake's web person built a website, www.draculasthebook.com. We sent our newsletters to over 20,000 fans on our mailing lists. We blogged, Tweeted, and mentioned Draculas on Facebook. We got a few interviews, and I wrote the aforementioned HuffPo article. We bought ads on Kindleboards and I started a thread in the Book Forum. We bought adspace on Kindle Nation and offered Stephen Windwalker's readers half the ebook for free. We worked with Amazon to create a free teaser chapter download page, which got over 1500 downloads. We worked with Amazon to create a pre-order page, which resulted in over 300 sales prior to the launch date. So far, total, we're over 800 ebook sales for Draculas. I expect to hit 1000 sales by tomorrow. Total costs to us, including formatting, cover art, interior art (the Amazon ebook has four original drawings by Carl Graves that weren't in the ARCs), the website, and the ads, is at about $1300. So we're already in the black, and will be in the black for the rest of our lives. If Draculas sells as well as my other Kilborn ebooks, we can plan on at least 1000 sales per month, which is $24k per year. But I expect it to do better than that. Not bad for eight weeks of part-time work. This is a partial list of Draculas links. We've stopped trying to accrue them all, because there are so many. I'm pretty sure no one else has self-pubbed an ebook at $2.99 and hit the Top 100 on the first day. This is a nice, solid launch to a title that should sell perennially. Both the writing, and the promo work, was done quickly and efficiently, and even at this early stage I'd call this ebook experiment a success. Not only can four writers put a novel together with eight weeks, but they can also do enough promotion to get it noticed. Time will tell how Draculas does in the long run. But one thing I'm certain of. Other authors will follow in our footsteps. Perhaps you'll be one of them.